Those who are following me on Facebook or Twitter already got a glimpse of my newest pair of shoes. It looks like I have been on continuous shoe shopping overdrive these last few weeks and there isn't the smallest chance anyone can stop me. My answer to that? A very grown up 'wha-eva'. I guess it was last summer I first heard these boatshoes speak to me again. 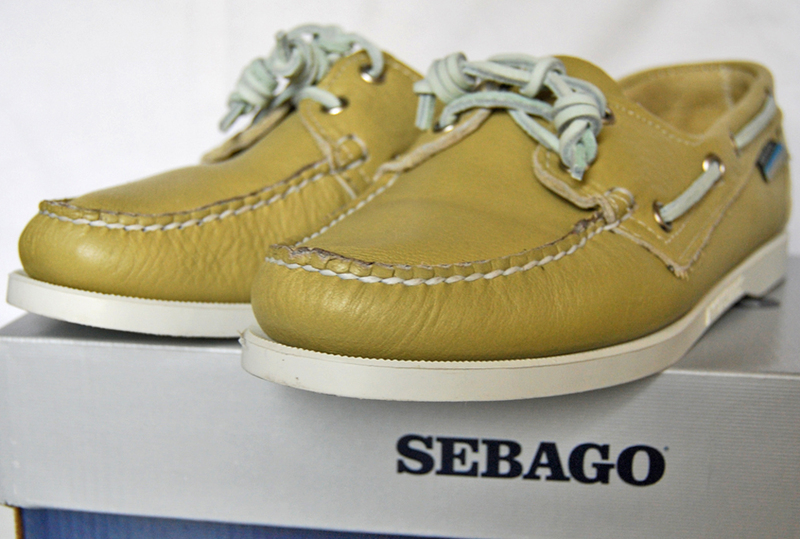 I owned a pair of navy coloured Sebago Docksides when I was about ten years old. Almost twenty years later this greenish twosome is taking me on a trip down memory lane. Honestly, when I opened the box yesterday my heart skipped a beat, I instantly felt like a teenager again. Trying them on I remembered how uh-maze-ingly comfortable these shoes are. 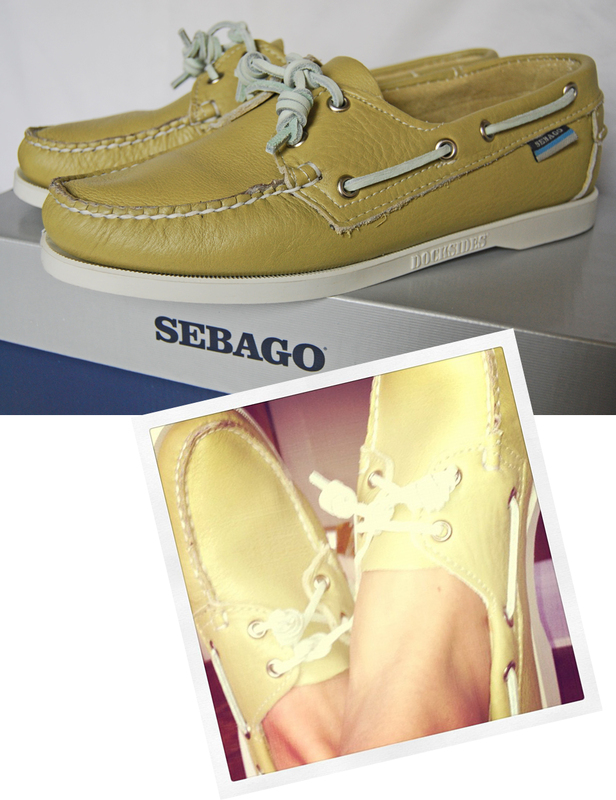 No doubt, upcoming spring I will rock these Sebago's everywhere! voor mannen vind ik die schoenen ook super !